Speaker Corey Johnson will oversee the process of getting hearings and, ultimately, votes on the bills. This bill would require a property owner to deposit money in an escrow account (with the city’s Department of Housing Preservation and Development (HPD) acting as the escrowee) equal to 10 percent of the rent for five years to fund temporary housing for displaced tenants before a vacate order has been issued. This bill is being sponsored by Councilmember Margaret Chin. It was originally introduced during the Bloomberg administration but never gained in traction. Councilmember Chin introduced it again in 2014 and earlier this year in January. Chin said in a press conference in January that the bill would “help shift some financial burden from HPD to landlords” who allegedly neglect rent-regulated units to push out tenants in order to create market-rate units. Chin’s office has said in past interviews with City Limits that her district has dealt with incidents where tenants have been forced to vacate their units, by HPD, due to deteriorating conditions. This bill would require HPD to report on median market rate rents by community district and number of bedrooms. It would also require persons making buyout offers to disclose such median market rate rents and calculate the number of months of such rent such buyout offer would cover. The bill was originally introduced in January and is being sponsored by Councilmember Robert Cornegy. A buyout agreement is an agreement where the owner pays the tenant money to vacate his or her apartment. Buyouts are an increasing focus of concern for tenant advocates, because they can be used to coerce tenants to give up a rent-stabilized apartment in neighborhoods where it is hard to find other affordable options. This bill would require owners of rent-regulated apartments who enter into buyout agreements with their tenants to file those deals with HPD within 45 days of execution. A failure to file the agreement would result in a civil penalty of $100 per day for every day that the buyout agreement is not timely filed. The bill would also require that HPD annually report to the mayor and Council information concerning filed buyout agreements. This bill is being sponsored by Councilmember Mark Levine. This bill would require the Department of Buildings (DOB) to deny building permits based on the number of serious code violations at a property. The denial would occur when a building with fewer than 35 units has an average of at least three open, immediately hazardous or hazardous housing maintenance code violations or immediately hazardous or major construction code violations per unit, or, if a building has 35 units or more, it has an average of at least two open, immediately hazardous or hazardous housing maintenance code violations or immediately hazardous or major construction code violations per unit. The law would excludes permits sought to correct DOB or HPD violations. This bill is sponsored by Public Advocate Letitia James. This bill would expand the mandatory sanctions applicable for submitting incorrect professionally certified applications for construction document approval to those whose applications within any 12-month period contained errors that resulted in a stop work order. It would also require that the DOB submit an annual report to the Council on registered design professionals who have been excluded, suspended or otherwise sanctioned by the department. This bill is sponsored by Councilmember Antonio Reynoso. This bill would require contractors to prepare and submit for approval tenant protection plans when seeking a permit to perform construction. This bill would repeal law that requires architects or engineers to prepare and submit such plans. This bill is sponsored by Councilmember Helen Rosenthal. This bill has three main parts. First, it would make the DOB responsible for identifying false documentation filed with the state and city housing agencies, including the Division of Housing & Community Renewal (DHCR), for occupied and rent-regulated housing. 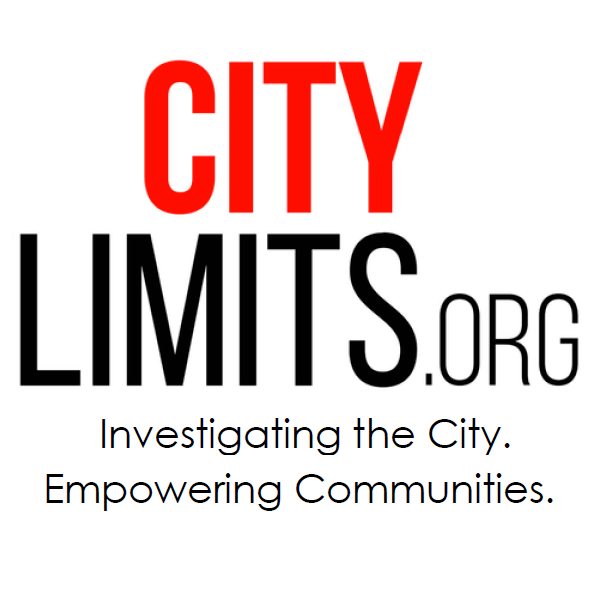 Second, it would require DOB to conduct an audit of the property owner’s whole portfolio of properties that fail to obtain a permit or submit false statements to city and state agencies, and to audit 25 percent of buildings on the HPD’s speculation watch list and the portfolios of owners with an unusually high number of amended building permits. Third, it would require the DOB to send written notices to the Council, the Department of Investigations, DHCR, the state Tenant Protection Unit, and, where appropriate, to the relevant District Attorney and the Attorney General for potential criminal prosecution. The DOB would also report any punitive actions it took where it found evidence of a falsified application for a building permit. This bill is sponsored by Councilmember Ritchie Torres. This bill would expand penalties for violating the DOB’s professional certification program to apply to the offending professional’s firm of employment as well as the professional, personally. This bill is sponsored by Councilmember Alicka Ampry-Samuel. This bill expands the HPD online property owner registry by requiring inclusion of DOB violations related to construction as harassment, including but not limited to work without a permit, work in violation of a stop work order, and work done absent or in violation of a lawful tenant protection plan. The bill also requires HPD to make best efforts to obtain rent overcharge information from DHCR and incorporate that information into the registry. This bill is sponsored by Councilmember Diana Ayala. This bill would require the DOB to provide copies of any notice of violation issued against a property to the residents of that property as well as the property owner or managing agent. The DOB must include a form explaining how the resident may provide testimony or otherwise participate in the adjudication process for the notice, as well as confirming the date and time for the adjudication. The bill is sponsored by Councilmember Fernando Cabrera. This bill would require a holder of a DOB permit to grant access to the city agency as a condition of continuing the work and retaining the permit. This bill is sponsored by Cornegy. This bill would require that the Commissioner of Consumer Affairs annually audit the records of at least 20 percent of licensed process servers who have served for a housing court proceeding. The bill would also require that litigants are informed that a process server or process serving agency has failed its audit. This bill is sponsored Cornegy. Housing court has been under scrutiny for its role in the affordable-housing crisis, and some tenants and advocates say that there is sometimes insufficient notice that a case carrying an eviction threat exists. 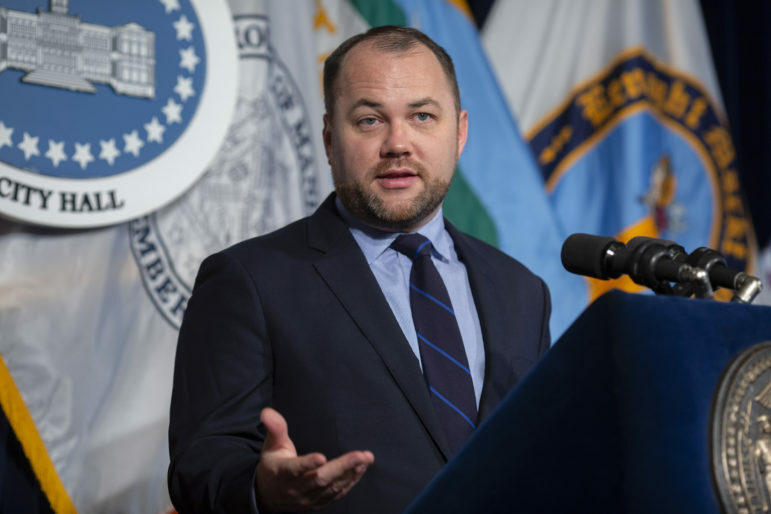 This bill would require owners of rent-stabilized units to obtain the previous four years of rent history from the state DHCR and provide such information to new tenants. The bill is sponsored by Levine. The legislation aims to increase transparency and ensure tenants are not being overcharged. It would also help prevent landlords from illegally removing units from rent stabilization, according to Levine’s press release. This bill would deny any permits for one year to property owners who falsely state, on construction documents, the number of occupied units in the building. Property owners who perform construction on a tenant-occupied property without a permit would also be denied any permits for one year from the date their violation is discovered. In such buildings, permits would be granted only for emergency work or to correct outstanding code violations to protect public health and safety. This bill would require the DOB to inspect 15 percent of buildings where construction applications indicate that the building was previously occupied and is now vacant, before approving applications for those construction permits. The bill sponsored is by James. This bill would require the commissioner of the DOB to review tenant protection plans to ensure that dust mitigation and debris removal efforts are described to demonstrate compliance with the New York State Air Quality Standards, New York City Air Pollution Control Code and New York City Construction Codes. Tenant protection plans would also be reviewed for details demonstrating compliance efforts in accordance with the New York City Fire Code, the New York City Electrical Code and the New York City Plumbing Code. The bill would also require that the department of buildings conduct inspections of 20 percent of sites with tenant protection plans within seven days of work commencing and inspect sites again every 120 days until construction is complete to verify compliance with the tenant protection plan. The department would also be required to conduct inspections in response to complaints about construction within 72 hours. This bill is sponsored by Councilmember Carlina Rivera. This bill would require DOB and HPD to audit no fewer than 25 percent of certifications of corrections filed by owners to ensure that owners have addressed the violations they receive related to their property. This bill is sponsored by Rosenthal. This bill would require that construction documents for alterations also identify the total number of units in the building and the total number of occupied units in the building. The bill would also establish specific civil and criminal penalties for submitting false information to obtain a Plan/Work Application building permit of no less than $10,000 for the first offense and no less than $25,000 for each subsequent offense. This bill is sponsored by Rosenthal. The challenge contends the Inwood rezoning’s environmental impact study missed important factors such as the impact on preferential rent leases, racial displacement, and minority- and women-owned businesses.